The History Channel has a show called “Digging for the Truth.” In season 1, they did an episode called “The Lost Tribe of Israel”, which highlighted the Lemba Tribe in South Africa, which claims to be a Hebrew people who were displaced around 700 BC, about 100 years before Lehi left Jerusalem. I couldn’t help but notice many similarities between their story, and the story of Lehi. Let me give a brief background on Israel, and the Lost Tribes of Israel. We all remember that the Kingdom of Israel was a united kingdom under David and Solomon. After Solomon’s death, the kingdom split into a northern kingdom called the Kingdom of Israel, containing the 10 tribes, and a southern kingdom called the Kingdom of Judah, containing Jerusalem and the tribes of Benjamin, Judah, and part of Joseph. The tribe of Levi (also referred to as Kohanim) was the priestly tribe, and did not receive a land of inheritance, and was sprinkled throughout the northern and southern kingdoms to take care of religious matters. Around 700 BC, the Assyrians invaded the Northern Kingdom. Isaiah prophesied that if the southern Kingdom turned to God, they would be protected. 100 years later, during the life of Lehi and Jeremiah, the Babylonians took over the Assyrian territory, and took control over the Southern Kingdom as well. The video has some really interesting claims about the lost tribes, and the Lemba, a black African tribe claiming to be Jewish. Scholars seem to be split as to whether the lost tribes will ever be found. Here are two different schools of thought. The first comes from a scholar who believes the lost tribes could still exist. The DVD refers to the term “diaspora.” When the tribes were scattered (or dispersed), they had to learn to live their religion without a temple, so this scattering is called the diaspora. Note this traditional Jewish dress they wear. People have claimed to have found lost tribes all over the world, from Siberia to Australia. Some of the first Europeans who landed in the Americas, assumed the natives were lost tribes, and even tried to communicate with them in Hebrew. Historian Hillel Halkin has written a book [Across the Sabbath River] about the lost tribes, and thinks that they could still exist today. Halkin, “The lost tribe myth really is through Jewish eyes among other things, a story of tough Jews. Living still like the Jews biblical ancestors: independent, warrior-like, fearless, all the things that Jews in the diaspora, over the ages generally were not. Contrasted by this view is another scholar. Israel Finkelstein [Archaeologist, Te l Aviv University] believes that when they Assyrians conquered this land, they wiped out all the leadership of the tribes of Israel. The populations was either killed or assimilated into other parts of the Assyrian Empire. He doesn’t believe they could be found today. So, let’s talk about the Lemba, who claim to be one of the lost tribes of Israel, just as Lehi and his descendants claim. What I found so interesting was the fact that the first part of the journey follows the same route that Mormons believe Lehi followed, along the frankincense trail in Saudi Arabia. The difference is that once they got to Yemen, Lehi and his group turned east, while the Lemba seem to have stayed in Yemen for a time, before heading south across the Red Sea through Africa. Here is a map of the Lemba’s proposed route. To help me make sense of it, I’ve asked historian Dr. Magdel Le Roux [University of South Africa, Pretoria] to come with me to the site. She’s been studying the Lemba for years and has just published a book on the similarities between their social customs, and those of the Old Testament Israelites. The Lemba claim to have built many stone cities along the way, especially in Zimbabwe and South Africa. The show quotes a few scholars who believe they have found some of these cities, and show archaeological links between Yeme, Zimbabwe, and South Africa. While there is no archaeological evidence tying the Lemba directly to Israel, they exhibit some amazing social, musical, and religious practices that seem quite related to ancient Judaism. The most interesting part of the show was the discussion of DNA tests which seem to indicate a Middle Eastern origin. I guess what is interesting about the Lemba is that they have a similar story to the people of Lehi, but 100 years prior. The DNA issue in the americas has led many Mormon scholars to take the position that the Nephites were an insignificant population genetically, and that DNA cannot be traced because of their minority status. However, the case of the Lemba shows that semitic origins can be traced among a small minority population. Even though they look strikingly similar to the Venda and Bantu tribes, they have a different DNA makeup than these other indigenous African tribes. If the Lemba’s claim is true, the proof should be in their blood. It’s now possible to trace the Lemba’s ancestry through their DNA, and that’s just what scientists in South Africa have done. I’m going back to the Lemba’s current homeland to find out the truth behind this fascinating mystery. That’s why I’ve come to Johannesburg. The scientists here at the National Health Laboratory Services have screened in the genetic profiles of the Lemba, and their neighboring tribes, the Venda, and the Bantu. They’ve come up with some revealing conclusions. Dr Jenkins believes that DNA always trumps appearances, and the Lemba’s claim to Jewish ancestry may indeed have some genetic support. Not only is their DNA very different from their neighbors, but according to his colleague, Dr Himla Soodyall [Geneticist, University of Witwatersrand], it may have a non-African, even Jewish connection. In the Jewish tradition, the Kohanim are part of the priestly caste. Amazingly, scientists have isolated a strand of DNA that is strongly associated with the Kohanim. It’s called the Cohen Modal Haplotype, and it’s almost exclusive to Jews who claim the priestly heritage-almost exclusive. The Cohen Modal Haplotype has been found among the priestly caste of the Lemba. This link supports the Lemba’s oral history and the archaeological clues we’ve seen, in the places they say they’ve lived. But Himla is quick to point out the limitations of genetic science. Himla tells me that the presence of the Cohen Modal Haplotype can’t tell us anything about the Lemba religion. But just as remarkably, it can tell us where their ancestors came from, and it’s not in Africa. Himla is convinced that the ancestors did indeed come from the Middle East. Now I’m not claiming the Lemba are the Lamanites, but don’t you think that this opens up some possibilities for the Book of Mormon? Perhaps we really need to consider some really radical settings for the BoM. What do you think? Wow that is interesting. I agree, there aren’t really any “claims” we can make from this, but it is interesting. Especially with the DNA stuff. Thanks for posting this! Can you get the series or episode on DVD? Adam, Amazon used to offer downloads by episode for $2, but it looks like they don’t any more. I actually downloaded this particular episode, and loved it so much, that I bought season 1 and 2. It’s a pretty cool series. Just found it on iTunes and downloaded the episode! I never thought to check iTunes. Cool! I think it is interesting that there was apparently another group of people who went from Yemen southward into Africa instead of Eastward toward Asia as we have assumed Lehi did. I keep thinking about how long that last leg across the Pacific is on Sorenson’s map, and how much shorter the route to America is by moving along the African coast and then crossing the Atlantic. Christ referred many times to a number of groups who were led away from the “fold” in Israel, so it wouldn’t surprise me if the Lemba people were a part of that spiritual Diaspora. I tend to doubt, however, any relationship between them and the people who wrote the Book of Mormon; Moroni considered himself the last believer and thought the remaining people in the land to be “barbaric” (this after wandering for some 40 years alone searching for refuge). It seems odd to me that so much Jewish culture would survive in that sort of environment, or that the Lemba story would be void of the kinds of violence that dominates the end of the Nephite account. 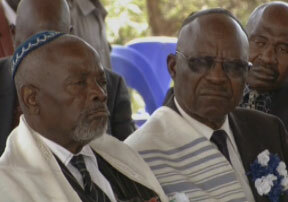 Yes, I am wondering if there is some way to claim the Lemba are related to Mulekites…. Andrew thanks for the links. I’ll have to check them out. The most interesting about this to me is that the DNA evidence that proves the Lemba are Israelites comes from Cohen Modal Haplotype, proving that at least some of them are descendants of the Levites(Cohenim). It should be noted that Lehi and Co. did not bring any Levites with them to the New World thus no CMH in the New World. Also, the Lemba lingered in Yemen for centuries. This would allow them to continue intermarrying with other Jews for a very long time, before making that final leap to Africa. Lehi and Co. made a strait shot to the New World which, with the exception of Mulek and whoever he brought(assuming he brought anyone),was a “Jew-less” land populated by Behring Straiters. Pedro, the tribe of Levi was dispersed among all the tribes, so I would expect CMH among all the tribes. 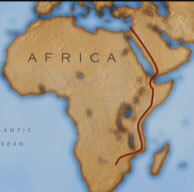 The CMH gene seems to indicate more than simply Tribe of Levi ancestry. Most of the Tribe of Judah has evidence of the Tribe of Levi as well, so the Tribe of Levi should have probably intermarried with many tribes, including Lehi’s tribe of Joseph. There in lays the problem. We don’t know what Lehi, Sariah, Mulek or Ishmael’s genes looked like. Did any of them carry CMH? Unless we have a real answer to that questian then we can’t expect anything. All we know is that Lehi was a Mannesahite and Ishmael was an Ephraimite, thats it. oh, and Mulek was a Jew. Yes Pedro, but the Cohen Modal Haplotype dates back to the time of Moses and Aaron. If the Levites intermarried with other tribes over the next, say 1000-1500 years before Lehi, then this gene would also be found among all the tribes. It is a marker that dates much farther back than Lehi–it dates to Moses and Aaron, so it is likely to be found not just among the Levites, but among all the tribes of Israel. Again, we don’t really know what Lehi, Sariah or Ishmael were apart from Ishmael and Lehi being descendants of Joseph. Who else were they descendant from? Assuming that the gene would be found in all the tribes, that doesn’t mean that the gene would be found in all Israelites. If you don’t know then you don’t know. That coupled with the fact that Lehi’s descendants were seperated from world jewry for 2100 years whereas the Lemba were in Yemen for who knows how long before they made the final leap to Africa. There are just too many variables. Hmm, thats interesting. Im no geneticist, but I wonder if there is a way to determine how the CMH entered a specific population. Suppose some Quiche Maya were found to have CMH, how do we know it didnt come from the Spaniards? Thought you might want to read the following article that popped up in the Jerusalem Post science section today. I think its great that the bible proves to be right again!!! If you read Numbers 12 (yes, in the Bible) it says that Moses married a Ethiopian woman….That great priest of the bible married a black woman.. Don’t take my word for it check it out for yourselves. To mr.T.H.M how meany wives did moses have?. Interesting, but much more could be brought to the discussion. When people say Africa, I guess they mean what we call Africa now, from Egypt and the Maghreb, down to the RSA. What if we say that it should for the purpose of history be stretched upwards towards what we know as Iran/Iraq today-places that people that had features that Africans are believed to have presently-once lived? The way data is interpreted matters as much as the data. The tribes were never “lost”. Just some Diasporan groups are. The “lost 10 tribes” is a myth. In fact, e.g., actress Natalie Portman (nee Hershlag) is a bat-Naftali and Daniel Burros (sadly) was a Yissachari. Also, the main tribes that returned during the End of the Babylonian exile were Levi, Yehudah, and Binyamin. Go back and read Ezra and/or Nehemia. The return of the Lost Tribes is in Revelation 16, after the Sixth Bowl of God’s Wrath is poured out.